We are among the foremost manufacturers and suppliers of Laboratory Calender. The Laboratory Calender offered by us is used for performing calender experiments and trials in the laboratory environment. It is provided with three roller stacks with a face width of 300 mm. Adjustable line pressure 0-100 kg/cm by means of hydraulic cylinder and electrically driven operated pump. 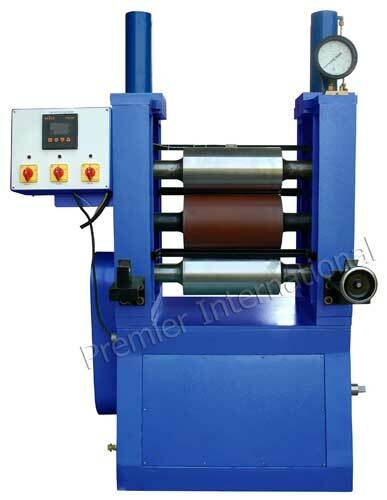 Electrically heated and thermostatically controlled top roller. Temperature range ambient to approx 100 0C alternative configurations as per requirement.